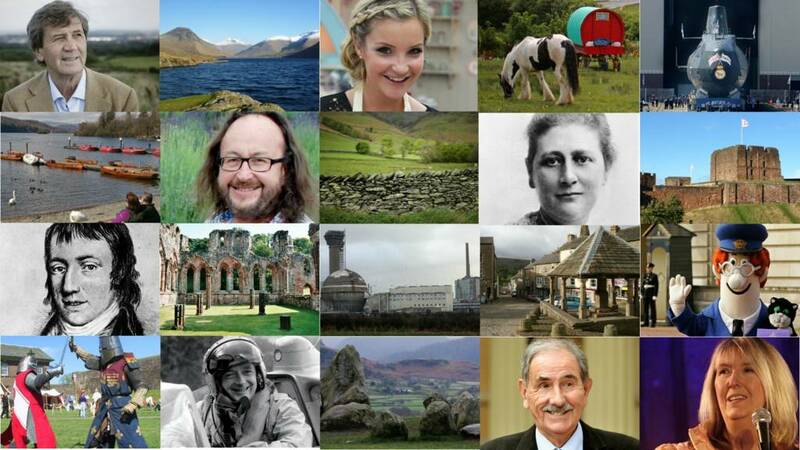 We've now finished keeping up with Cumbria's news, travel, and weather forecasts, and a few other things, for the day. And a school in the Lake District put out a call for buttons to build a holocaust memorial. In the meantime, if you've a photo you'd like to share with the county,or news you think we should know, you can email us, send them using Twitter where we're @BBC_Cumbria or head to our Facebook page. A West Cumbrian father whose baby died at just 6 months old has been given a national award for his work to help others. Greg Johnston, from Cockermouth, was given an Inspirational Father Award at this year's national Butterfly Awards. His daughter Evie was born with a hole in her heart and underwent many operations during her short life. Along with his wife Gill, Greg founded the charity Team Evie in her memory. Cumbria highways engineers say Egremont Bridge has reopened after checks. Volunteers from the Cave Rescue Organisation on a call-out to rescue a schoolgirl who'd fallen ill near Ingleborough found themselves diverted to a second rescue when a quad bike rolled down a hillside. Phil James said the driver was very lucky: "He was higher up the hillside, and many people might have thought it was just a broken down quad by the track, if we hadn't seen it come down the hill." With the weather forecast for the next few days, the proverb about red skies in the morning may just be right. If you've a photo you'd like to share with the county, you can email us, send them using Twitter where we're @BBC_Cumbria or head to our Facebook page. A crash has closed two lanes southbound on the M6 between junctions 37 for Sedbergh, and 36, and congestion is building up. Further outbreaks of rain are likely overnight, becoming a little lighter and patchier through the early hours. It'll be a mild night, with temperatures of around 10C (50F) around towns. The company planning to provide zipwire thrill rides across a Cumbrian lake has released this picture to show the impact on views across the valley. The company says the visualisation, prepared by a local landscape architect Ian Ibbotson, suggests the wires across Thirlmere would be barely visible from more than a few hundred yards away. Mike Turner, the managing director, says the company's now finalising a planning application to the Lake District National Park Authority. The park's planners, until now, have approved zipwire rides in forest locations but not where they cross long distances in open country. A 27-year-old man is in hospital after being chased from Kirkbarrow into Kirkland in Kendal by a man who then attacked with a hammer. Police say a number of people are thought to have seen the attack at about 14:00 yesterday afternoon, and they're appealing for witnesses. A 20-year-old man has been arrested on suspicion of causing grievous bodily harm and affray. 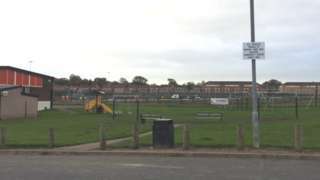 A cycle track at the middle of a political row in Carlisle should be completed and put into use, says the city's main club for the sport. The circuit in Harraby is being questioned by Conservative opposition councillors because the cost has shot up and the opening has been delayed by several months. But Keith Bickley from the Border City Wheelers will prove a big draw. This would be a big attraction, not just for local cyclists, but for Carlisle itself." Racing trainers Nigel Twiston-Davies, Donald McCain, Jonjo O'Neill, Lucinda Russell, Nicky Richards and Michael Scudamore all have numerous entries in today's Red Rum Day, Carlisle's opening jump meeting of the season. The Aintree legend Red Rum prepared for each of his three Grand National triumphs in the 1970s by winning the Windermere Handicap Chase at the city track. Dressed like this, Joey Essex could walk past most members of the older generation without getting a second glance. But for anyone who follows The Only Way is Essex, having a TV star as guest of honour at Ullswater Community College is the biggest news in Penrith. The Labour leader of Carlisle City Council is defending the amount of money being spent on a cycle racing track in the city. The facility would be the only one of its kind in the county. It's known it will be over budget by more than £100,000, but the deputy leader of the opposition Conservative group, Gareth Ellis, says the true amount is larger. Speaking on BBC Radio Cumbria this morning, Colin Glover said councillors had been told the full amount, but that couldn't be made public because it was part of a commercial contract. Quote Message: The money has come from a reserve that is set aside for leisure purposes, so it's not as though we're stealing the money from another service." The money has come from a reserve that is set aside for leisure purposes, so it's not as though we're stealing the money from another service." You can hear the debate on Breakfast with Mike Zeller here. Opposition councillors say additional funding should have been the subject of further consultation. Cloud will build throughout the day, with rain spreading from the south. the winds will be from the south east and temperatures will reach 14C (57F). You can see the latest BBC weather forecast for where you are, here. Westmorland and Lonsdale Lib Dem MP Tim Farron has asked the transport secretary to find money for a northern bypass for Kendal. A new report from Cumbria County Council says a road around the northern side of the town could reduce congestion, especially when traffic is diverted off the M6 because of accidents. Transport Secretary Chris Grayling said he'd set up a fund for such projects and he'd be prepared to meet Mr Farron for further discussions. Video caption: MP Tim Farron has asked the transport secretary to fund a bypass for Kendal.MP Tim Farron has asked the transport secretary to fund a bypass for Kendal. The Met Office has warned of winds gusting to 70mph around Cumbria's coasts on Saturday. The yellow warning, the lowest level of alert, covers the whole 24 hours. 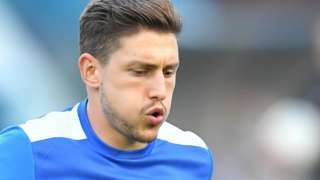 Carlisle are to appeal the diving charge on forward Shaun Miller who became the first player to be charged by the FA since new simulation laws were introduced. Some staff at Carlisle's hospital have told BBC Radio Cumbria that its accident and emergency department has been at breaking point this week. It comes a day after figures were released showing hospitals across the county and the country are failing to meet government targets over patient waiting times. Sources at the Cumberland Infirmary say A&E reached its worst point for 30 years on Monday. Quote Message: It was four tough days. On Monday we had to focus on moving our patients through into safer places than the emergency department." It was four tough days. On Monday we had to focus on moving our patients through into safer places than the emergency department." Quote Message: Putting in place improvements where our patients get care closer to home, to prevent them coming into hospital, and then can be discharged earlier with support in the communities." Putting in place improvements where our patients get care closer to home, to prevent them coming into hospital, and then can be discharged earlier with support in the communities."